March's Mask was an interesting color palette challenge. 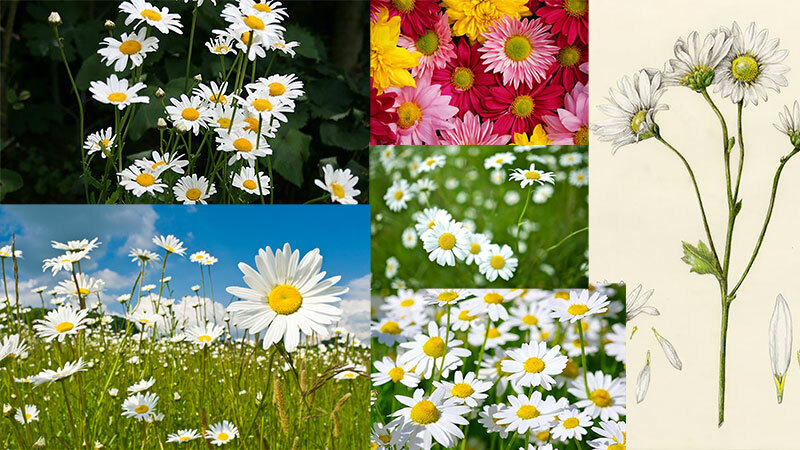 April's Mask proved to be yet another challenge with its inspirations, the diamond gemstone and daisy birthflower! First off, how does one represent diamond? In the past, I've been making the main part of the mask match the color of the gemstone, but if I simply made this mask white, it could easily be confused with pearl. The solution - interference paints! More about them in the WiP shots coming up. The usual mood board in Pinterest. Botanical drawings make for great reference of structure. I also made sure to get various photos of the flowers at different angles so I can get an idea of structure, which will inform my decorative abstraction of them for the mask. 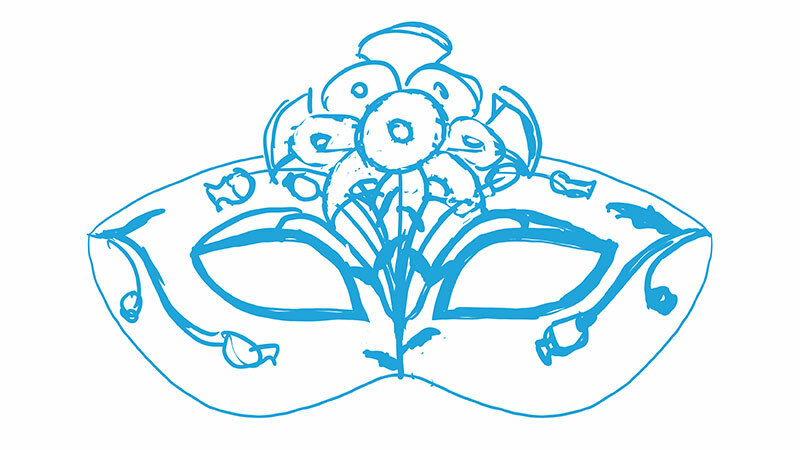 I sketched the rough layout based on the placement of flowers already set forth by January's Mask to keep the series looking uniform. The most challenging part of this step was trying to keep the mask simple enough that it would be possible to carve without too much trouble. I ended up having to remove some of the flowers I had originally put in the bunch, by the end. 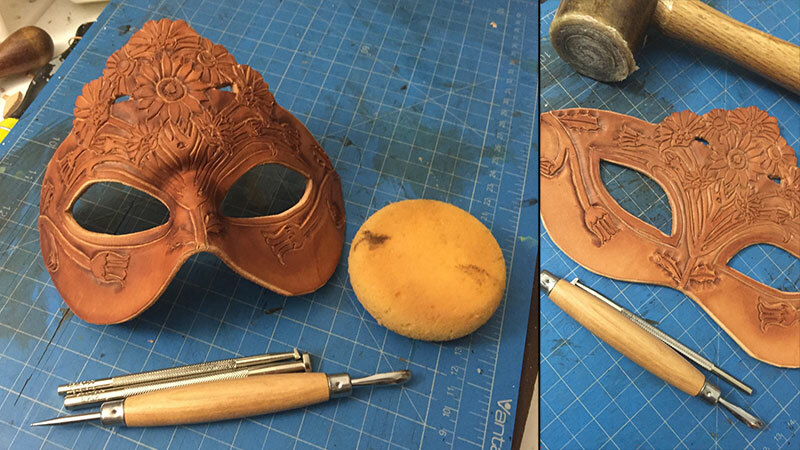 Here are a few photos of the mask in the making! I'll be putting together a time lapse video of the creation of this mask later so you can see this in motion. 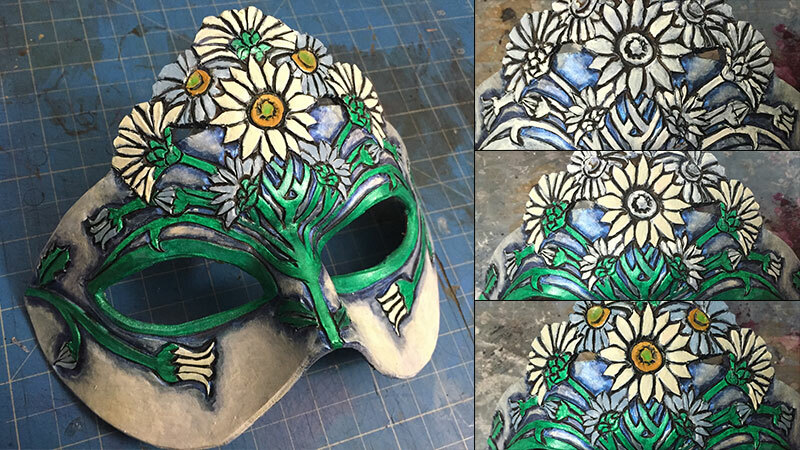 The finished mask plus steps of the paint layering of the flowers. To get the 'diamond' base for the mask, I painted a layer of white, then covered the white with blue interference paint, which created a 'frosted' crystalline kind of look. It's hard to capture in these photos, so definitely check out the video of the shine in action! This is a more subdued mask than usual, but I'm hopeful even subdued masks might have their fans. Buy the finished mask here! Remember, you can pre-order one of these unique limited edition masks at the Ladies' Patreon. Only TEN of each mask in this birthstone series will ever be made! 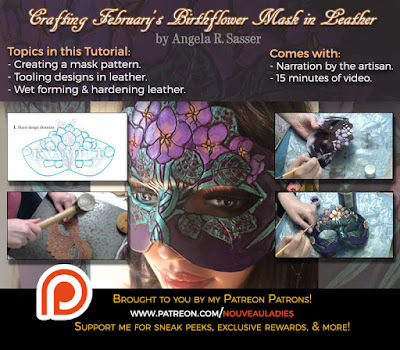 For more in-depth instruction with complete step-by-step narration, a materials list, etc., check out this Premium Video Tutorial featuring the creation of February's Mask. Check out the Ladies of the Months on Patreon!